San Francisco has a little bit of everything. It is dynamic with its innovative companies and picturesque with its candy-colored Victorian houses. A fast-changing modern city combined with culture and nostalgia. 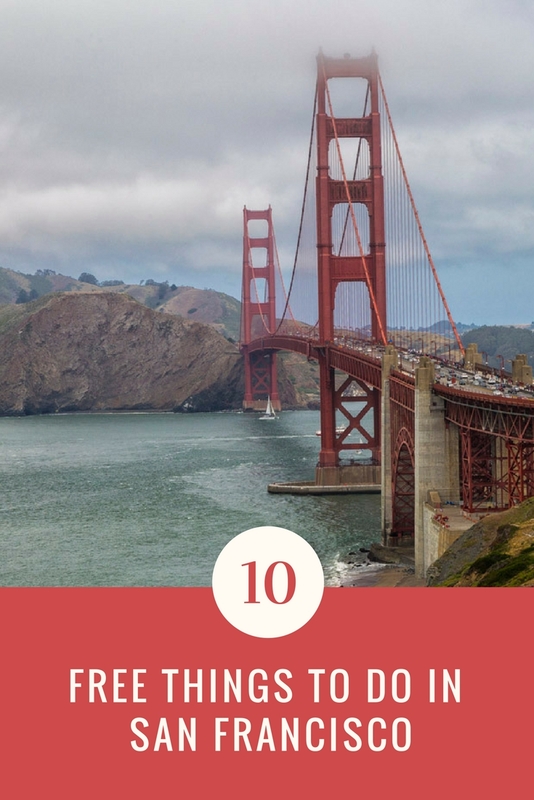 I’ve got 10 free things to do in San Francisco for you. Either you love or you hate it. This is what I often hear when people talk about San Francisco. I loved it. I think this city is awesome. I think the people there are awesome. It hit me when I arrived in the Bay and saw the iconic Golden Gate Bridge for the first time. My excitement when I drove along the bridge was vast, my feeling of freedom immeasurable. Even the honking cars behind me when I hesitated for a second to step on the gas at the traffic signals could not limit my fascination. I love skyline views and I love to combine a beautiful view with a relaxed activity. Dolores Mission Park in the Mission neighborhood offers exactly that. 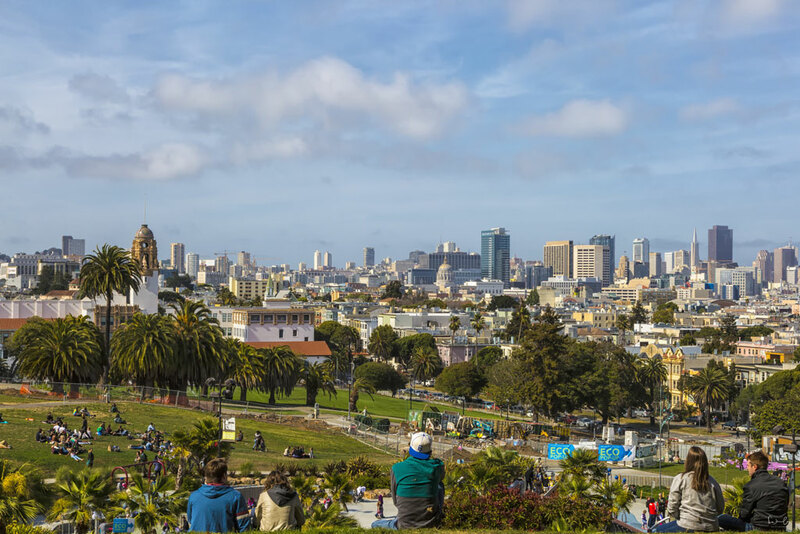 The view on the skyline of San Francisco and even beyond is amazing and you can just sit there, sip your coffee and relax in the lawns under palm trees. Not only that, there are events like film nights, marches and festivals – most of them free! Find the program here. If you love skyline views too, this is a great place in San Francisco. Balmy Alley in the Mission district is a long alley with an amazing collection of murals. It all began in the 1980’s when artists showed their expression on political and human rights abuses. 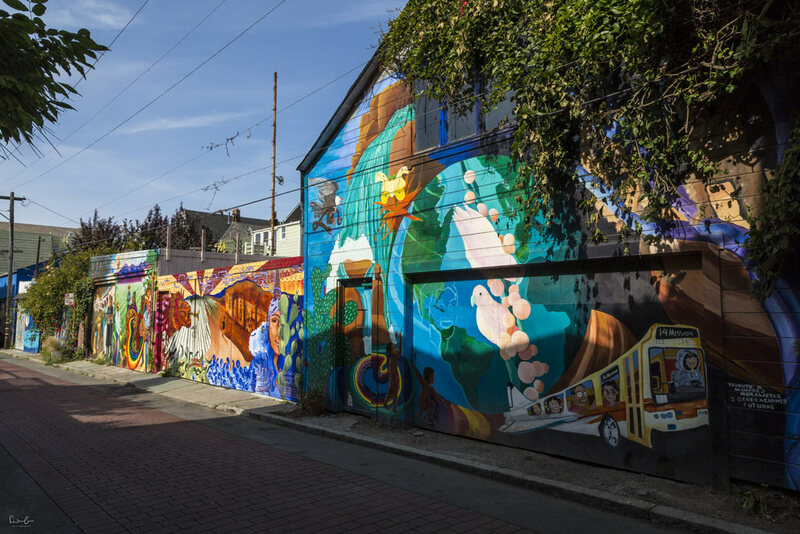 The best way to explore the constantly changing murals is to walk the alley. It is one of the oldest and most prestigious schools in contemporary art located in a beautiful building in historic Russian Hill district. From the terrace of the building, you will have a fantastic view on Coit Tower and the Swell Gallery on the second floor is open to the public on Tuesdays from 11 am to 5 pm from for free. Coit Tower at the top of Telegraph Hill is a concrete column tower named after Lillie Hitchcock Coit, a wealthy patron of the city’s firefighters. 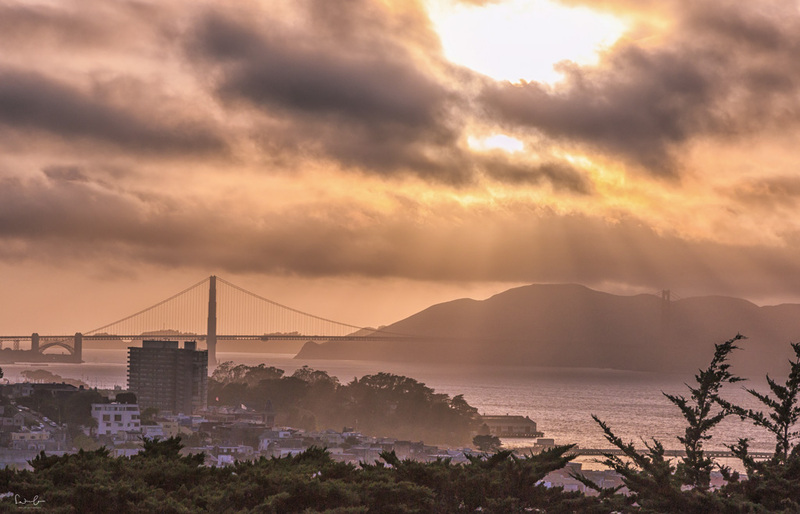 You’re having a wonderful view on the Golden Gate and Bay Bridge, particularly during sunset. Enjoy the view and don’t forget to make some awesome pictures. Behind the tower, a nice trail is leading you through the neighborhood down the hill. You might hear the flock of parrots. They were featured in “The Wild Parrots of Telegraph Hill”. There is no San Francisco visit without walking up or down famous Lombard Street in Russian Hill district. 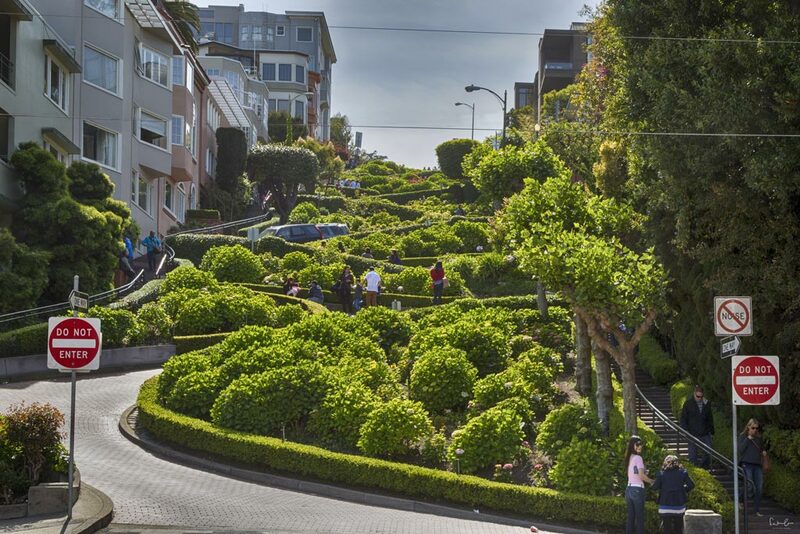 The crookedest street in the world with its eight sharp turns is one of San Francisco’s icons. It is beautifully arranged with plants and flowers between exclusive mansions. Don’t miss to make a photo from the bottom or above. 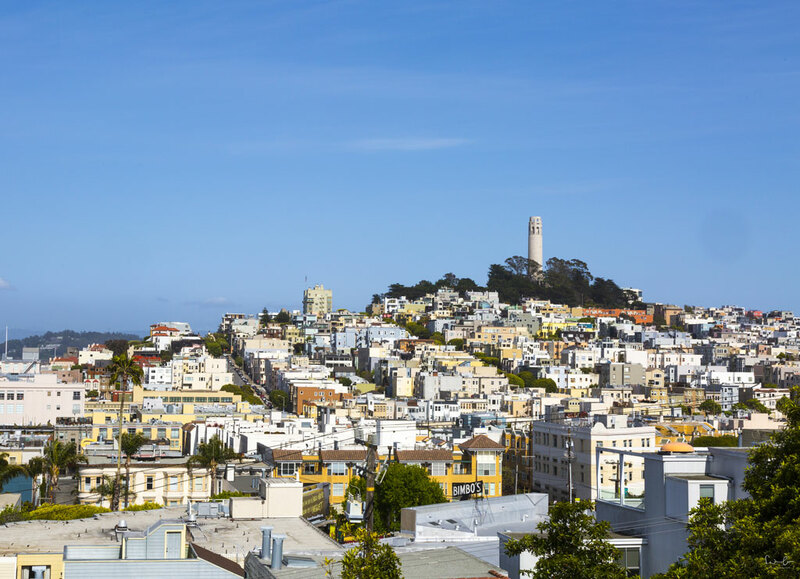 You can perfectly combine 3, 4 and 5 on your walk through Russian Hill district. I admit this is a postcard sight. But cross my heart – the famous candy-colored mansions on Alamo Square are beautiful, aren’t they? With the skyline in the background, it’s their good right to be on postcards ;-). 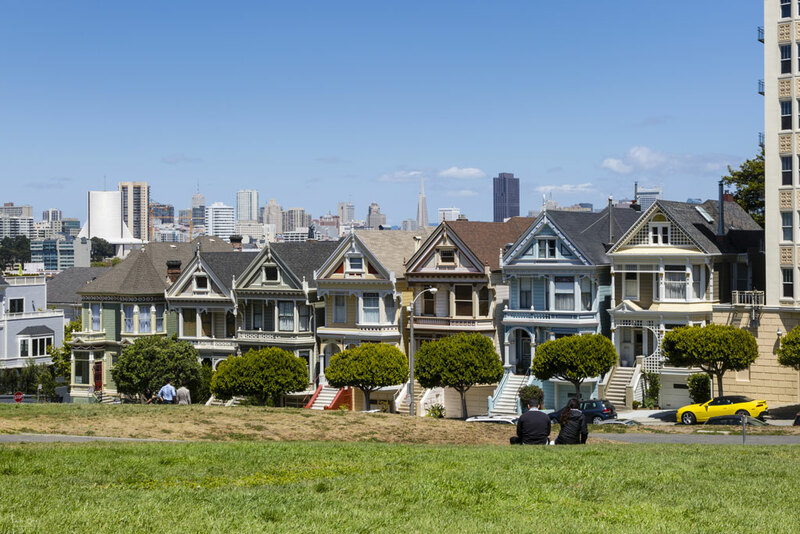 The painted ladies definitely go on the top picks for San Francisco. Use the trip planner to find out how to get there from your current position. San Francisco has more than 200 parks. One of them is Rincon Park by the waterfront of Embarcadero with its huge sculpture of a bow and arrow also know as the Cupid’s Span”. Its location at the waterfront makes it so popular to the locals for walking, jogging or cycling. The view on the San Francisco Bay Bridge is amazing and definitely worth a photo. Thanks to local volunteers who love their city, you can join them on free walking tours. 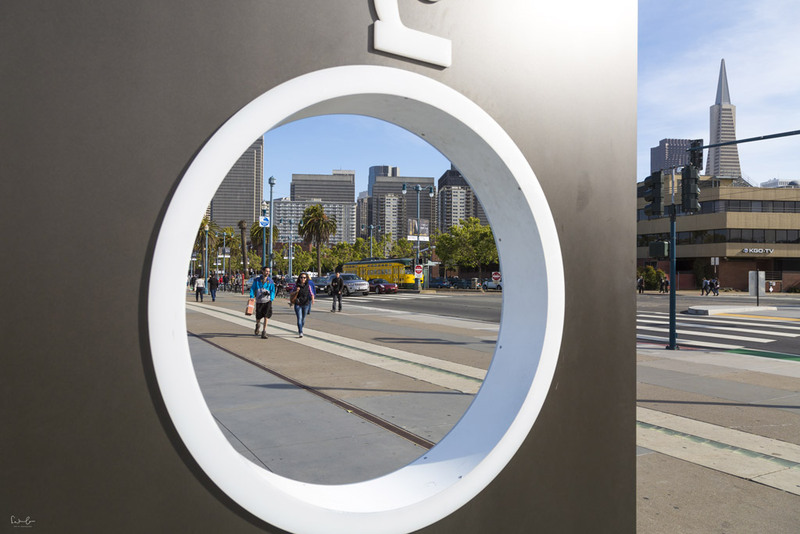 San Francisco City Guide offers free tours through different neighborhoods. All you have to do is register online. It is a great way to explore the city, learn more about the districts and its stories and talk to locals about their favorite places and why they love their neighborhood. From Grant Avenue you can reach Dragon’s Gate and walk straight into Chinatown, the oldest Chinatown in North America by the way. 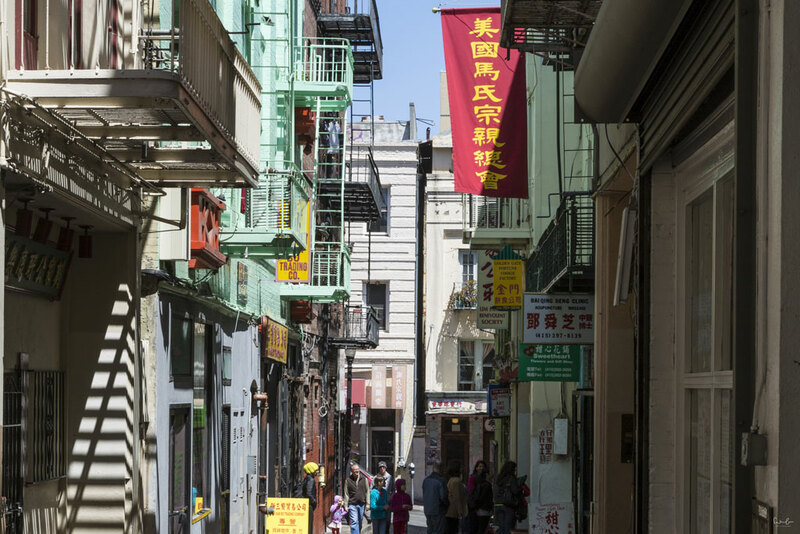 While Grant Avenue is pretty much the touristic place of Chinatown, Stockton Street is more authentic. You can switch between these two streets and explore the little back alleys. Don’t miss to get your fortune cookie at Golden Gate Fortune Cookie Factory in Ross Alley. If you have never seen and listened to a gospel choir before, you should attend a mass at Glide Memorial Church on 330 Ellis Street. I met Karen, one of the volunteer workers for Glide, on my whale watching tour in Monterey and she invited me to come to the church on Sunday. I’m so glad I did, because the spirit, the choir spreads, is just contagious. Glide serves more than 2000 free meals a day. 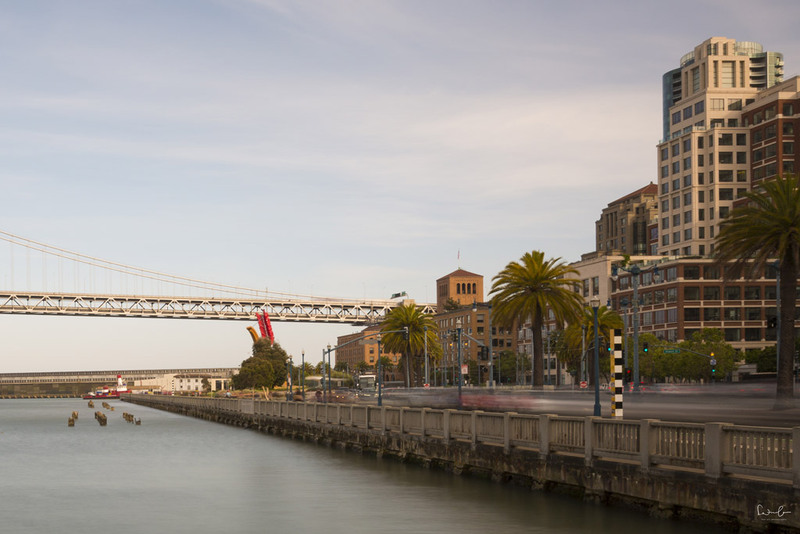 Find my Beginner’s Guide for San Francisco here, if you visit the Bay for the first time. It tells you everything you should know: when to go, climate, a detailed guide of how to get around and some helpful do’s and don’ts. I wish I had seen this before I went to San Fran! Such awesome ideas. San Francisco has so many great things to see that are free. Saving for when I got next time.